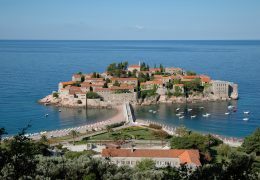 A seemingly endless strip of three dozens of sandy beaches, bays, cliffs, capes and islets stretching over 38 kilometers, looking at the open, southernmost and warmest segment of the Adriatic Sea – it’s the Budva Riviera. 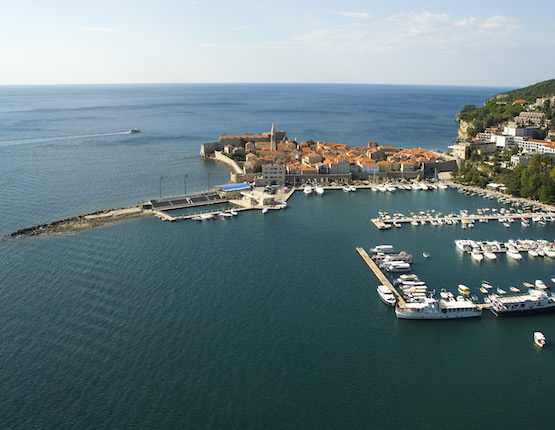 The town of Budva dates back to 5th century BC, making it one of the oldest urban centers on the Adriatic Coast. 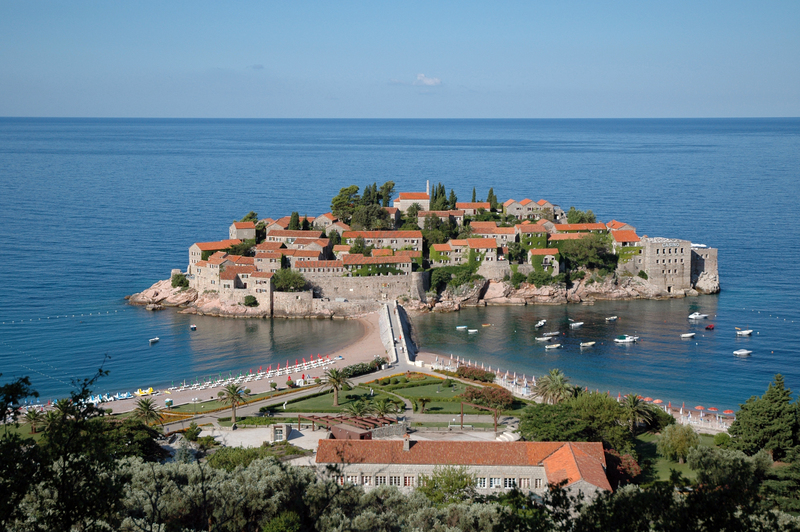 According to a legend, a son of a Greek king, Cadmus, founded Budva after being expelled from Thebes and made it a home for his wife, goddess Harmonia. 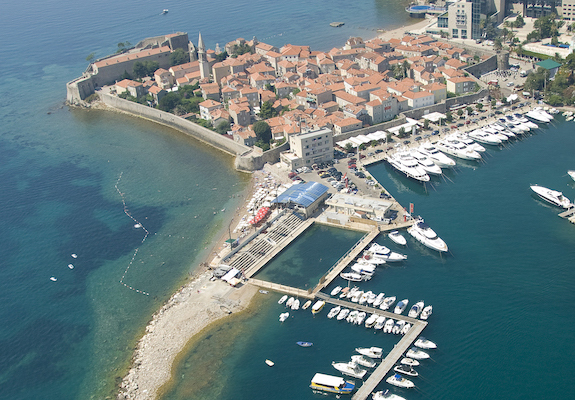 City walls and different other pieces of heritage from the Antiquity and Middle Ages – remnants of an ancient necropolis, a mosaic floor of a villa from the 2nd century and an early Christian basilica from the 5th century – testify about the long history of active life in and around Budva. A mild climate with long dry summers, rich cultural history and an almost dramatic landscape with the Lovćen Mountain rising above the brilliant, deep blue sea has always attracted visitors. to the Budva Riviera. Today, it is dotted with 4 and 5 star hotels, offering supreme services for leisure or active vacation. 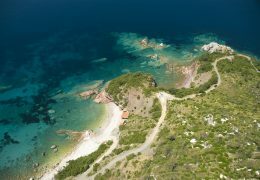 Lying on one of its 35 sandy beaches – eigth of which were awarded a blue flag, a recognition of their impeccable cleaness – the blue waters are so bright that one can see through it up to 30-meter of depth. 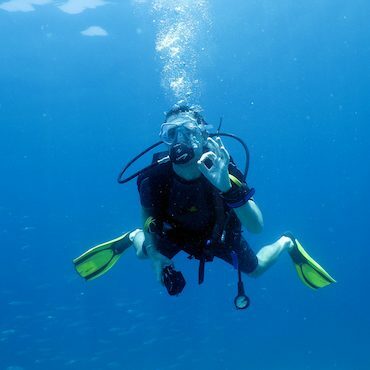 Below, a rich and diverse biological life flourish, enriched by such a natural underwater beauties like the Tunnels, a Sweet Cave or the Galiola reef. Bigovica, a small bay between Budva and Bar, was used as a portin Antiquity and is now an archeological underwater treasury of fragments of amphorae, majolica and glass dating to the period between 3rd century BC to 17th century AD lying at the depth of 5-25 meters. 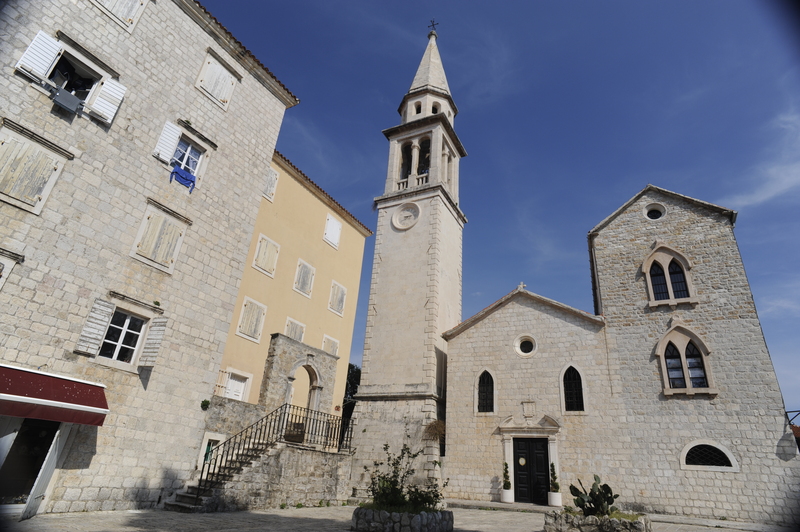 The old town of Budva is a specific Mediterranean combination of landscape, history and culture in the south part of the Adriatic coast. 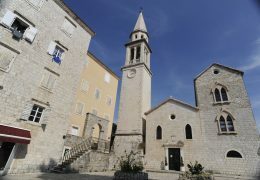 Inside and in the near vicinity of the walls, Budva hides a unique history of more than 2.500 years, positioning it among the oldest urban centers of the area. the remains of an early Christian basilica or the Cathedral St. Ivan. Archeological findings are also exposed in the Archeological Museum in Budva’s Old Town. National Park Lovćen is located on a rocky region of the Dinara Alps. 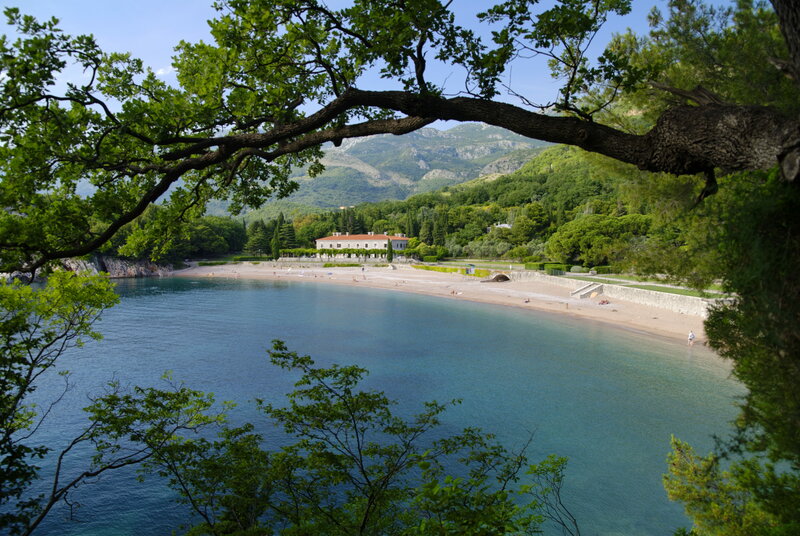 The slopes of Mountain Lovćen steeply rise from the coastal region of Budva and the western part of Cetinje. 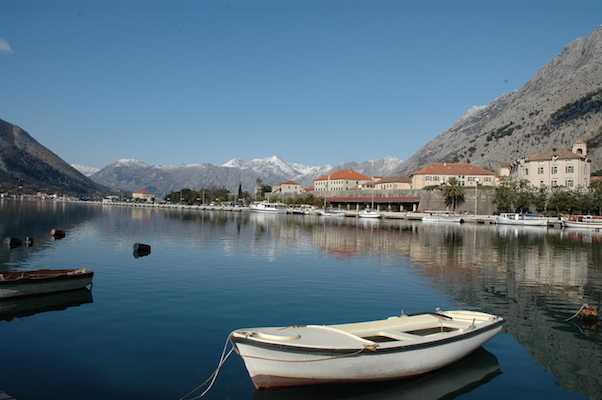 “Black Mountain,” after which Montenegro got its name, rises to 1749 meters of altitude. Park covers 6220 acres. The part is abundant in flora and fauna, housing nine different habitats at a very small space. The abundance of life is result of extreme altitudes and influence of two climate zones: Mediterranean and Continental. The Park also is a site of a mausoleum to the Montenegrin ruler and a poet, Petar II Petrović Njegoš, an imposing resting place, 461 steps up the hill. The Lake Skadar is located in the Zeta – Skadar Valley. 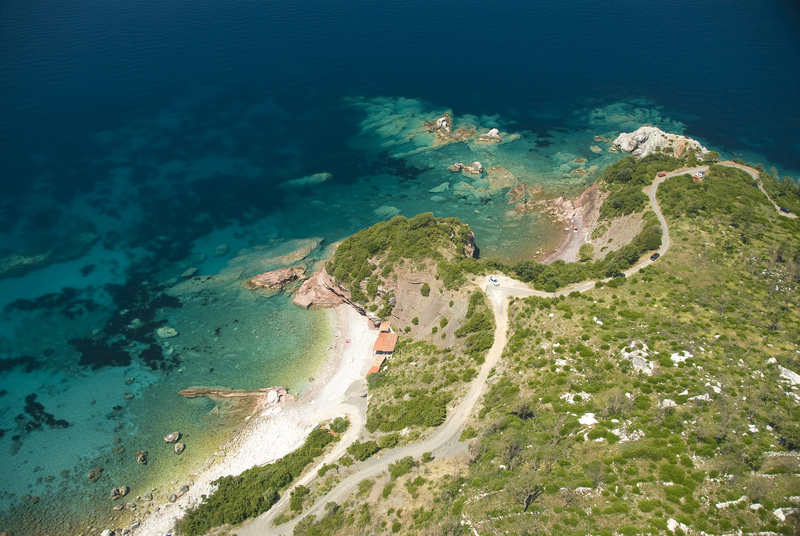 It is surrounded by mountains, only 7 kilometers from the sea. Two thirds of the Skadar Lake is in Montenegro and rest goes beyond to neighboring Albania. Depending on the level of the water, the space of the lake varies from 530 to 370 km2; it is 44 km long and 14 km wide. As such, the Skadar Lake is the biggest lake at the Balkan Peninsula. A 40-meter-tall bungee jump built at the end of the Slovenian Beach at the Budva Riviera. For extreme sports fans. 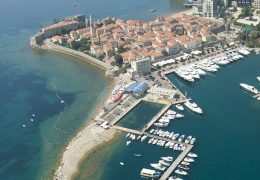 One of the most popular paragliding sport at the Adriatic Coast is located above the town of Budva at the altitude of 760 meters above the sea. View over the whole of the beautiful Budva Riviera.